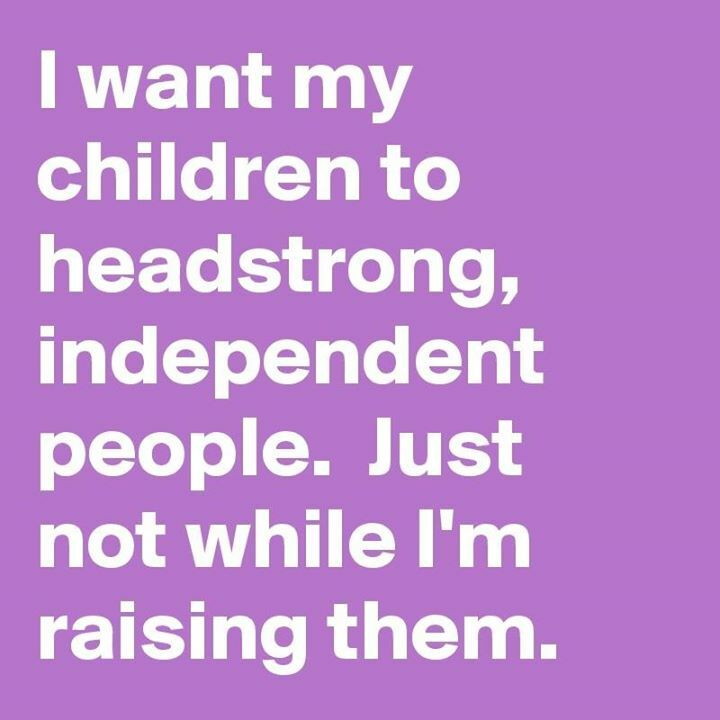 I WANT MY CHILDREN TO HEADSTRONG, INDEPENDENT PEOPLE. JUST N - ProudMummy.com the Web's Community for Mums. I WANT MY CHILDREN TO HEADSTRONG, INDEPENDENT PEOPLE. JUST NOT WHILE I'M RAISING THEM. Rebecca Stewart bet you and Barry Stewart can relate to this 😂😂.